Issy Website Design Taunton, are proud to introduce two more happy clients. 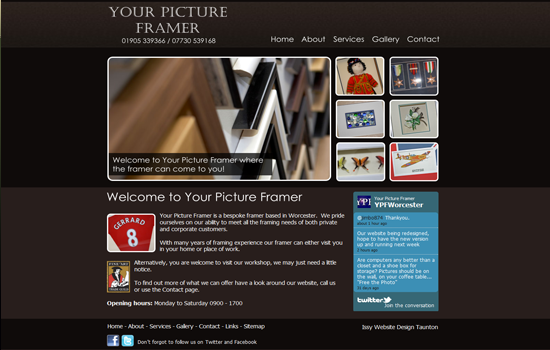 Your Picture Framer is a bespoke framer based in Worcester. We pride ourselves on our ability to meet all the framing needs of both private and corporate customers.With many years of framing experience our framer can visit you in your home or place of work. 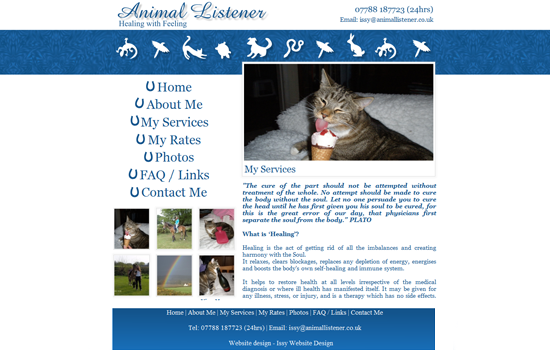 Animal listener, communication and healing in Taunton, Somerset. My greatest friends and teachers have always been the animals I have shared my life with. From a very small age I was always ‘talking’ to animals that I came in to contact with.